A great blog from our Technical Director Paul Dickenson, on where he sees similarities between fibre sensing solutions for Oil and Gas and the Wastewater industry. Prior to joining nuron I worked in the oil and gas industry, most recently developing flow monitoring applications for distributed fibre optic sensors. During the transition to wastewater it has been tempting to make observations about the apparent similarities; many pipes, brown liquids and the occasional nasty smell. Not to mention a few bad jokes about my career going down the toilet. On a more technical level, the two industries present some different fluid mechanics and monitoring challenges. Here at nuron we are addressing these through ground breaking research and development to apply distributed fibre optic sensors in the wastewater industry. These give nuron a unique integrated solution for monitoring sewer networks. On a more strategic level, there are significant opportunities to learn from implementation of distributed fibre optic sensors in oil and gas. These monitoring systems were originally deployed for flow monitoring to determine where does flow originate, what is its flow path and what is its composition. Much the same questions are relevant in wastewater networks where the majority of operators have less than 1% visibility of their entire networks. Experience suggests there will be substantial benefits from continuous real-time flow monitoring as opposed to occasional intervention-based surveys. Active control, real-time optimisation and rapid responses to problems can all be unlocked. In oil and gas applications, these arguments formed the original business case for permanent installation of optical fibre sensing. However, once installed, additional uses for the fibre became apparent. For example, structural integrity, security, the ability to use the fibre to undertake seismic surveys at considerably lower cost and disruption than the conventional methods. The true value of the fibre and more importantly the data and information it provided once installed; always exceeded original plans. In wastewater networks, perhaps the upside will be the ability to safely deploy networking fibres alongside those for sensing, or perhaps there will be additional further benefits. But given the versatility of optical fibre sensors and my experience to date, there will be an upside. Then of course there is the elephant in the room: surely oil and gas have significantly higher value than sewage? As products that is almost certainly true, recent oil and gas downturn notwithstanding. But as potential sources of environmental, reputational and economic damage, untreated sewage and hydrocarbons have a fair bit in common. 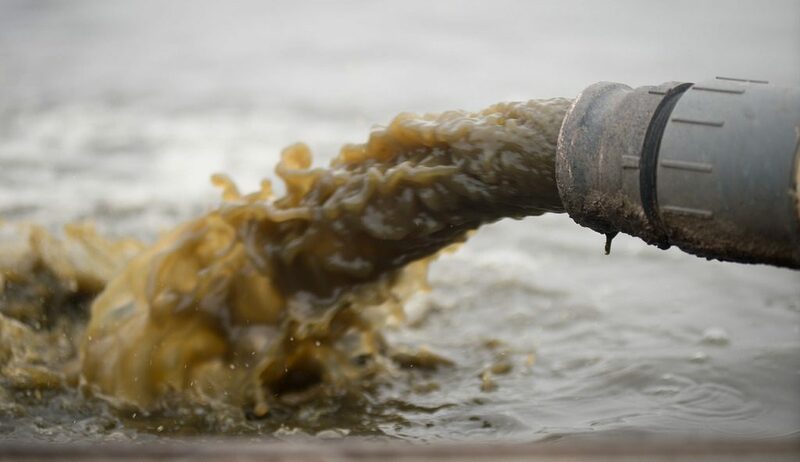 Historically, society has tolerated regular discharges of raw sewage into our environment, either in times of high rainfall or following blockages. That tolerance is reducing and with it comes a reduced capability to ignore the problem or build our way out of trouble.